ExacMe 15ft Trampoline, trampoline with crazy weight limit, low price and great reviews. Are there any hidden surprises? 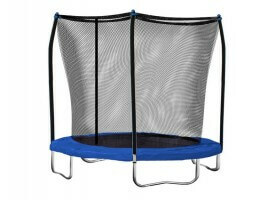 Read our review about 15ft ExacMe trampoline! If you are on a budget is not a bad thing with trampoline as cost and maintenance price isn’t very high – it comes with very reasonable price. Families are encouraged to buy this trampoline. And if you don`t trust us, trust the reviewers who gave it a 5-star ratings on Amazon, and where most of them were families. 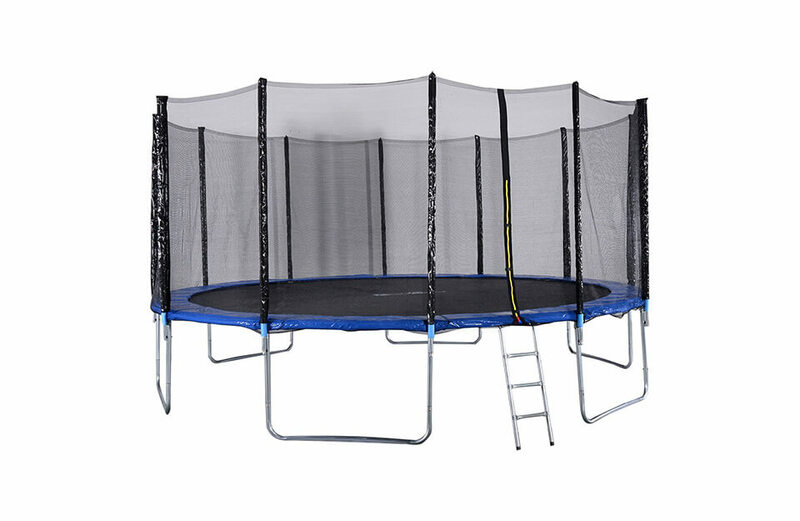 This 15ft trampoline, with diameter of 159″ (4 meters) and 108 springs for 375 pound maximum weight capacity, is very easy to assemble and requires no tools or extra drilling. ExacMe Trampoline can be assembled by two people within 2 hours. All materials found on this trampoline are made with durable UV protected materials for increased weather resistance and will provide you with years of problem-free jumping experience, and regarding safety, it meets all “ASTM“, “TUV“, “GS“, “EN71” and “CE” quality requirements. Complete package includes 15ft trampoline, enclosure, poles, ladder, clamps, pole pads with tools and hardware used for assembly. Overall, pretty nice packaging where everything you might need is included inside. 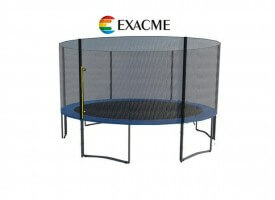 Maximum Weight Capacity: 375 lbs (170kg) – this ExacMe trampoline is in Top 10 regarding weight limits! 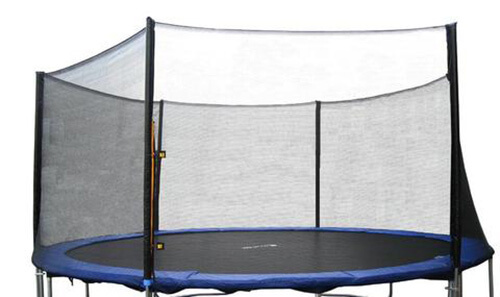 ExacMe 15ft trampoline comes with great price, so it really gives you value for money. ExacMe 15ft trampoline is made with thick and strong, rust-resistant galvanized steel tubing, which is safer than conventional frame welded trampolines. We guarantee that this frame will be firm and rust-free on any weather conditions. While some may not like it, trampoline frame comes covered with protective layer of grease which you may have to clean first. Trust me, if manufacturer ships it with frame protected, it has to be good! 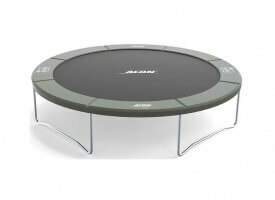 Traditionally made from Poly-Propylene (PP), which is industry standard for this type of trampoline. The stitchings that hold the rings are strong. Mat does not have any kind of writing on it – just simple X marking center of the mat. 108 pieces of 7″ springs should provide nice & powerful bounce. Springs were also galvanized and it assures me that will stay rust free for long period of time. Great thing is that springs are good and size is within industry standard, so buying replacement springs shoudn`t be a problem. 1-inch thick blue padding should suffice for everyday activities without risk of injury. The springs are completely covered up by a blue trampoline pad. 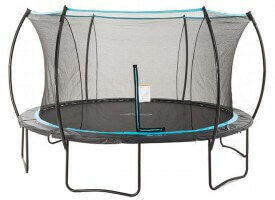 It encloses entire way around the trampoline, including the springs. The net enclosure is attached to the poles by straps and ropes and then also hooked underneath for additional support. Zipper enclosure allows easy in-and-outs. 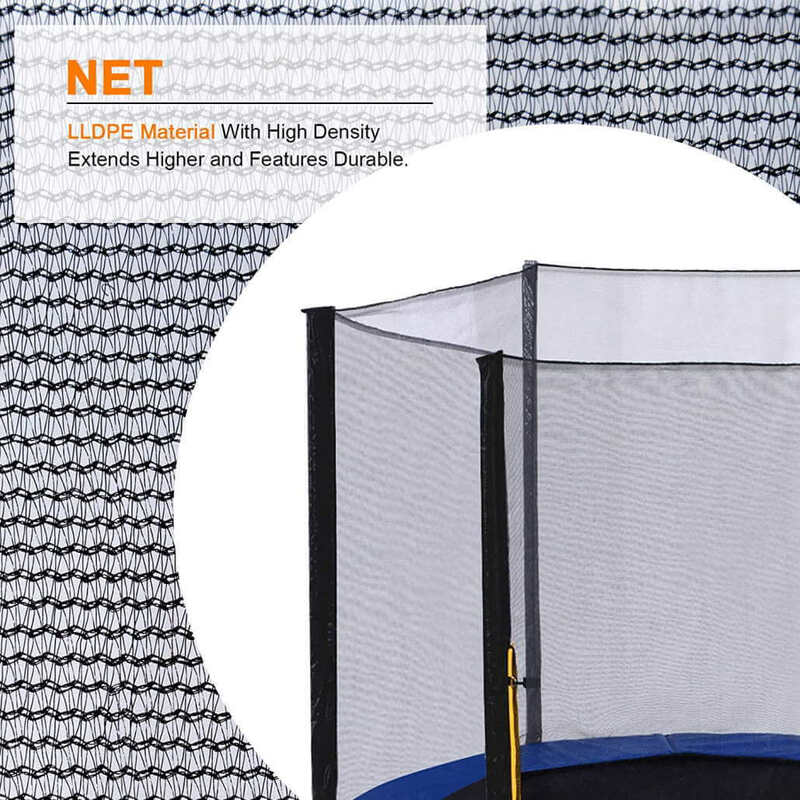 Full height of assembled trampoline is 3.1ft while full height with enclosure net is 9ft. ExacMe 15ft Trampoline Assembly manual available for download – here. 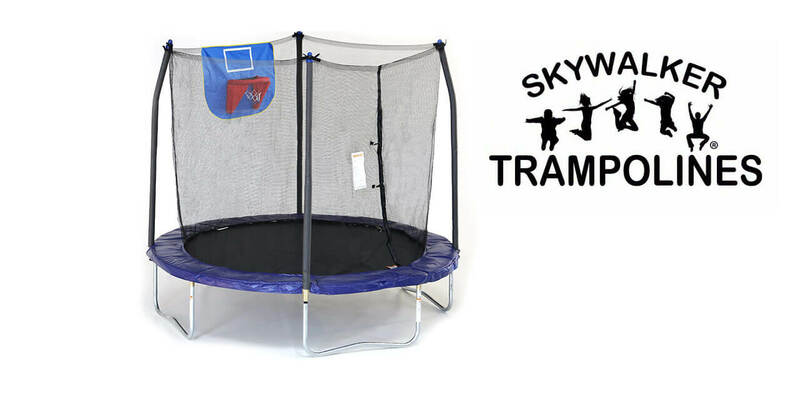 Overall, ExacMe trampoline is a trampoline we would buy for ourselves! 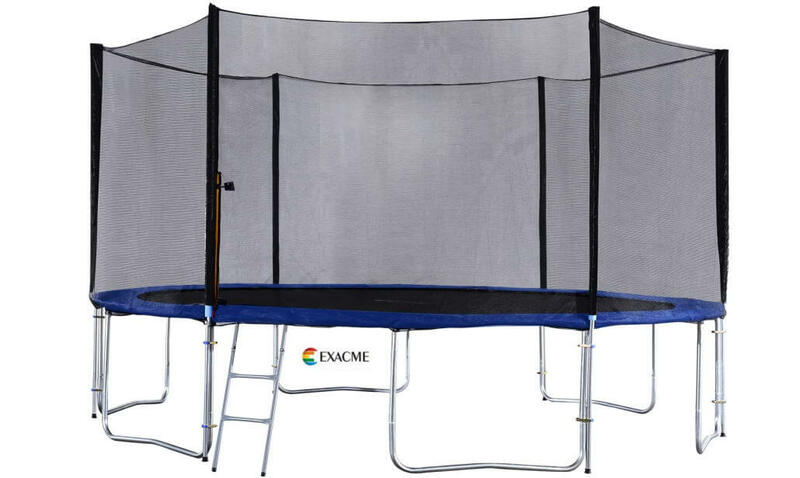 If 15ft model is too small, then check bigger brother – ExacMe 16ft trampoline. Not interested? Read other reviews!